Local Records Office, the deed and property history report company, was founded in the late 90’s. 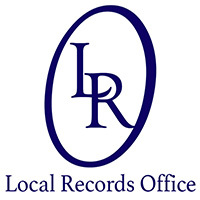 Since then Local Records Office has grown into one of the nation’s leading company. Local Records Office has gone commercial in advanced real estate property reports by working closely with prestige online companies from all across the United States and growing in a rapid speed. Local Records Office is an all American company that has been providing homeowners with premium history reports for many years. Local Records Office offers new homeowners the opportunity to purchase a history report for their home, each property profile report is for a specific address and property, and no property is alike. When it comes to real estate Local Records Office has been a well-established company all across the United States. Los Angeles, CA. is where it all began for Local Records Offices, as it is known today. The company entered the real estate industry early on, using its extensive real estate experience and expertise in customer service. In the early years Local Records Office would focus on industrial property but over the years it has evolved into a premium property history report company. As of now its main focus is customer service and real estate. Local Records Office has made a name for its self in the industry, with an over overwhelming (so called) property report companies want-to-be’s it still managed to keep its high reputation. Local Records Offices (LRO) continues to play a critical roll and ensure the sustainable growth and enhanced competitiveness of the records business. The profile report that is purchased from LRO contains an overview of foreclosure activity on the property (if any), demographics, crime report on the neighborhood, copy of deed, academic information (teacher to student) and much more.